WASHINGTON, D.C. (Feb. 1, 2017) — Members of the Congressional Asian Pacific American Caucus (CAPAC) and leaders from the Asian American and Pacific Islander (AAPI) and Muslim communities held a press conference Wednesday opposing President Donald Trump’s Executive Order banning Muslims and refugees from entering the United States. 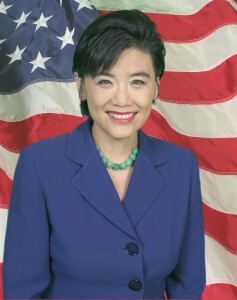 CAPAC Chair Congresswoman Judy Chu (CA-27) was joined by Congresswoman Grace Meng (NY-06), Congresswoman Pramila Jayapal (WA-07), and Congresswoman Barbara Lee (CA-13). The legislators were joined by leaders of several national Asian and Pacific Islander organizations. Congressional members discussed rushing to airports over the weekend to help individuals who were detained and at risk of being deported due to the Executive Order. Speakers also discussed the parallels behind this action and incidents like the Chinese Exclusion Act of 1882 and the internment of over 120,000 Japanese Americans during World War II. Leaders from community organizations, including the National Council of Asian Pacific Americans (NCAPA), the Council on American-Islamic Relations (CAIR), South Asian Americans Leading Together (SAALT), and Southeast Asia Resource Action Center (SEARAC), also discussed the impact of the Executive Order on Asian American and Pacific Islander (AAPI) and Muslim communities. Christopher Kang, director of the National Council of Asian Pacific Americans, said the Asian American and Pacific Islander community has the responsibility to remind the nation about ‘never again.’ The AAPI communities have that privilege to speak on behalf of their ancestors who could not come to this country, and ancestors who were discriminated against, or were interned and who were profiled — many not able to have the opportunity to tell their own story, he said.